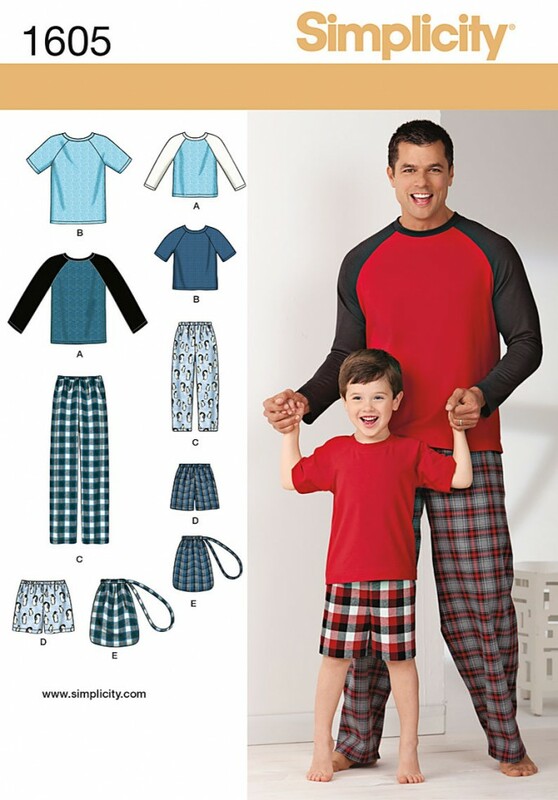 Boys and mens loungewear includes comfy pull on pants or shorts with elastic waist, drawstring bag and knit baseball top with neck band and long or short raglan sleeves. Neck band and sleeves can be made in contrast fabric for a sporty look. Simplicity Easy to Sew sewing pattern.